We love doing weddings! 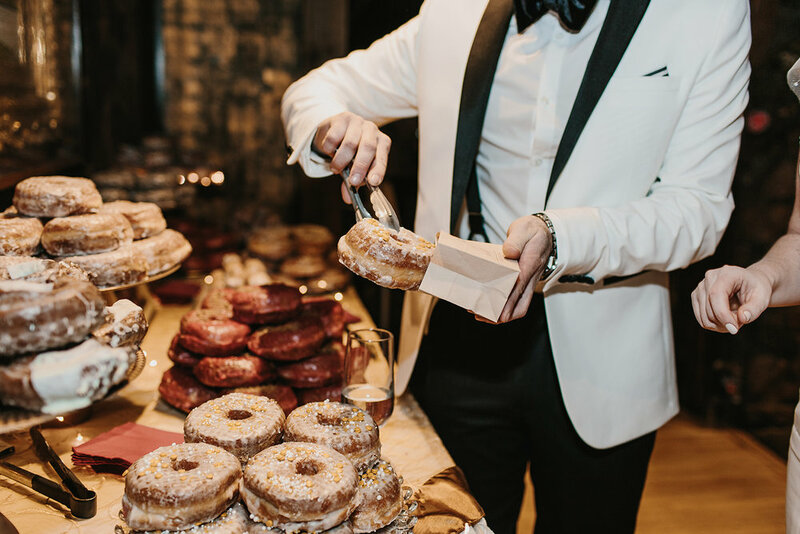 We’ve done favors, donut towers, we even have donut walls available for rent. Full size, mini’s, donut holes, and even some customized options are just a few of the things we can offer. Let’s schedule a free tasting, and we look forward to being part of your most important day. Please reach out and let us know how we can help! We have done weddings, parties, corporate gatherings and everything in-between. Let's get a few details, and get this show on the road!